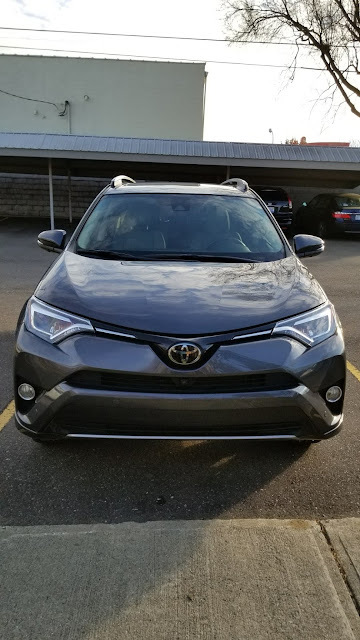 Over the past week, I was able to drive the 2017 Toyota RAV4, with all-wheel drive. Last week, we received 4-7 inches of snow in one night, and the average temperatures were 15-25 degrees all week, so this car and I became good friends, fast! I was able to drive this car for nine days, which is a little longer than I usually get to keep them. I had a lot of driving to do, though, so it worked out well. Last Friday, I met up with some friends at Green Dot Stables, and we also went to Campus Martius to check out the Detroit Christmas tree. The navigation system in the RAV4 came in handy for this trip. That Sunday, it was back to Detroit, this time for Giordano's Pizza (nom!) and a show at the Fox, so the navigation system again came in handy. 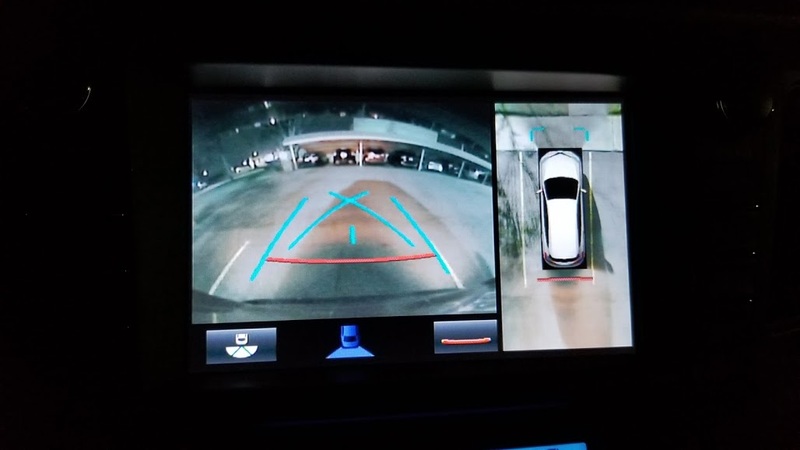 I also really liked its backup camera—it not only showed you what is directly behind you, but it also showed you a birds-eye view, which I have never seen before in a car. That became super useful when, near the middle of last week, Mother Nature decided that it was time for winter to arrive in Michigan ... and we received about 4-7 inches of snow in one night. 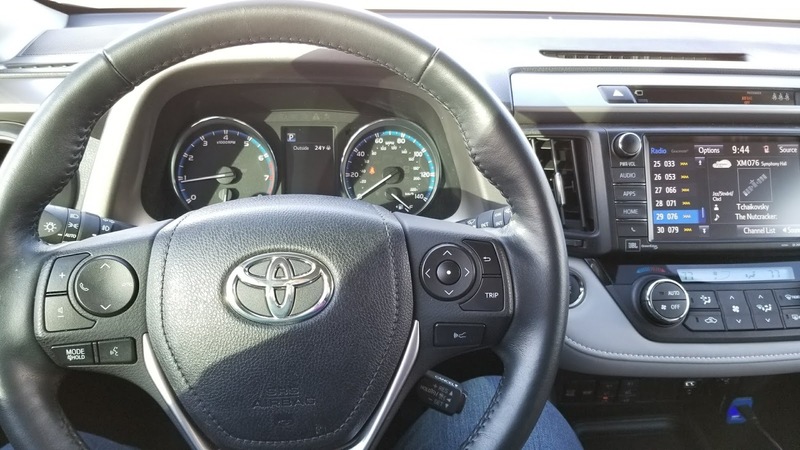 As you can see in this picture, the RAV4 has a heated steering wheel ... which I now sorely miss, since I'm back in my personal vehicle this week. 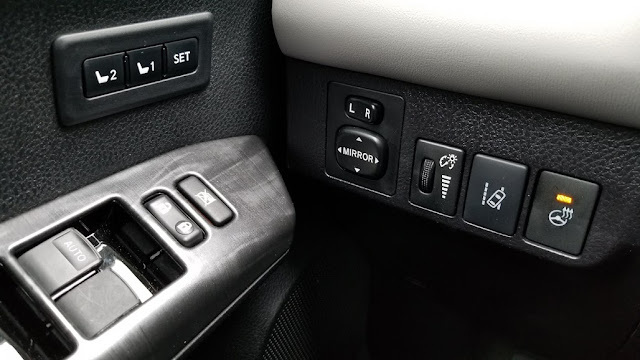 Both the front and passenger seats are heated, and you can choose if you want high or low heat. You can also tell the car to remember what settings you want for the height, etc. of your seat, as you can see in the buttons here at left. 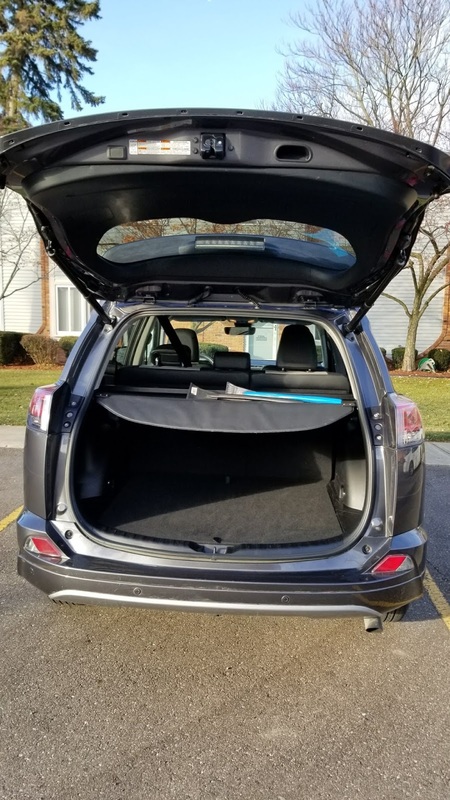 The cargo space is also a decent size. 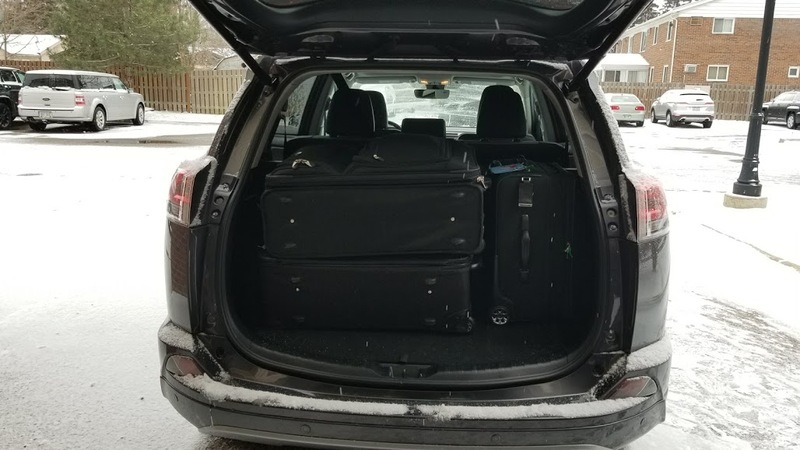 I had to drop my parents off at the airport using the RAV4, and we were initially concerned that all of their luggage wouldn't fit; however, as you can see here, we had no issues. There's also a privacy shield that you can use, if you like, which is nice if you're doing a lot of errands and buying groceries or other things. I also really liked the parking "helper" in the RAV4, which would beep if you were too close to an object. I will say that one time it freaked out while I was driving, for some reason, and kept beeping at me ... but I was able to turn this feature off at that point. 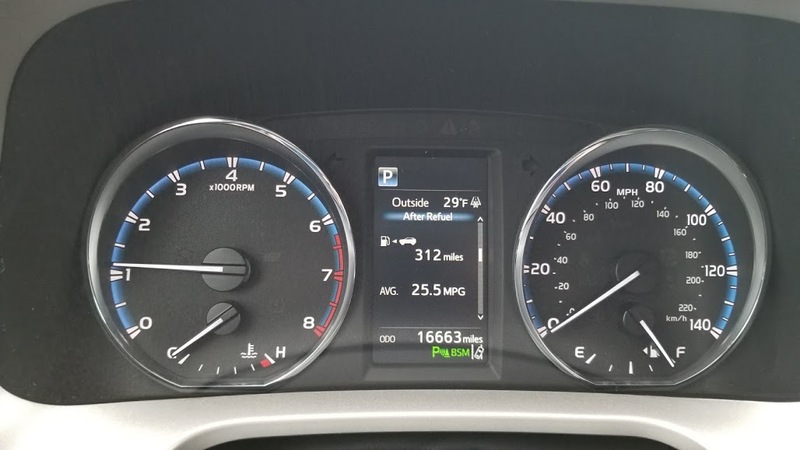 The gas mileage on the RAV4 is that of a typical SUV—you get an average of 24 mpg, which includes 22 mpg city and 28 mpg highway. There's also a helpful meter on the dashboard that tells you how many miles you have left in the tank before you run out of gas. 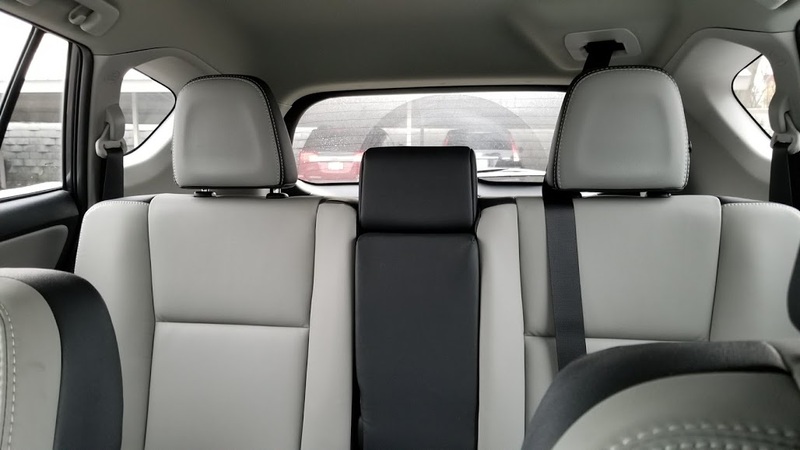 The car seats five people, and you can also fold the backseats down if you have 2 or 3 people and want more cargo room. 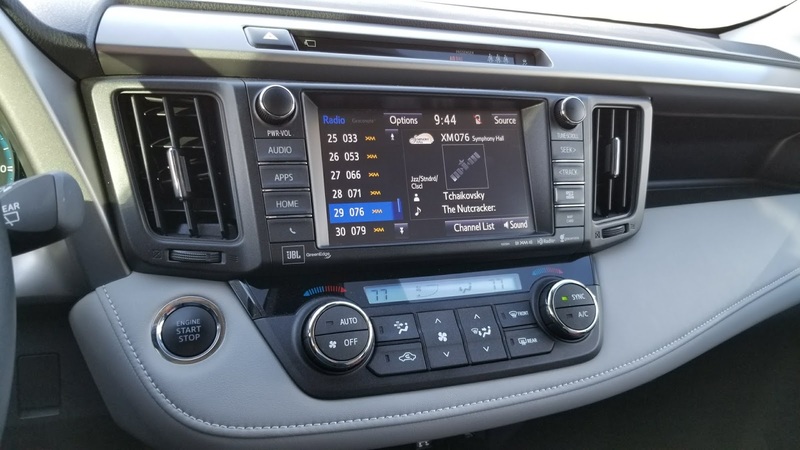 I drove the Platinum version of the RAV4, which is priced at $37,180, but that includes all the bells and whistles—the car also has a moonroof, blind spot monitor, Lane Departure Alert with Steering Assist, SiriusXM satellite radio, and Dynamic Radar Cruise Control. I experienced the cruise control in the 2017 Highlander Hybrid, too, and it's another of my favorite features: if you set the car on cruise control, while on the highway or otherwise, it will monitor traffic and slow down or speed up as needed. 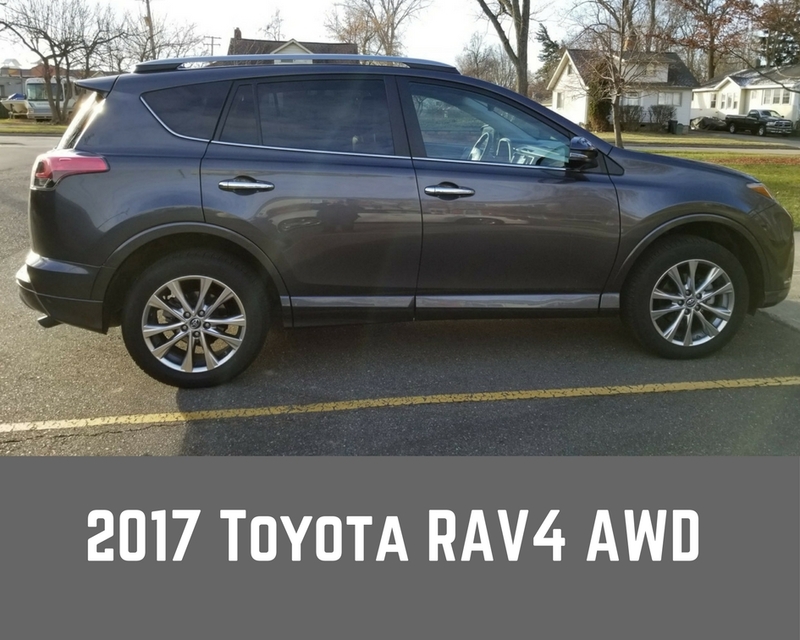 The 2017 Toyota RAV4 starts at $24,410, and you can compare models and prices here. Have you ever driven a Toyota before? If so, what's your favorite model to drive?